Why Should Pharmacists Specialize as an Independent Pharmacy? Independent Pharmacies are a hot topic in today’s industry. In America, many local pharmacies are having their business threatened and strained by the growth of national chains and commercial retailers that are including “pharmacy” as one of their many on-site offerings. The pharmacist, who was once known as a local confidant who provided personalized care and expertise, is now far less personal and virtually without specialization. Pharmaceutical niches such as HIV and AIDS medications cannot simply be filled at a local CVS or Walgreens location. These types of patients are looking for something more specific. They are looking for a specialty independent pharmacist who truly understands the nature of their illness. Michelle Sherman of MichRX Consulting has worked with pharmacists in America and around the world to not only understand the benefits of becoming an independent pharmacy, but also to be an expert in a focus that is great importance to her; HIV and AIDS medications. 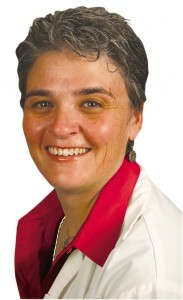 Michelle’s expertise in setting up and marketing an independent pharmacy comes from over 18 years of work in the field. She works one-on-one with independent pharmacies that are looking to become experts in HIV medications and provides the pharmacist and his or her team with the consultation, coaching and training that they need to succeed in this market. Rather than stocking thousands of medications for all types of illnesses, independent pharmacies can focus on consistently stocking the types of medications that their patients need. It is absolutely critical that a independent pharmacy always has the antiretroviral medications in stock! If they do not stock the medications properly, patients may run out of their medications and are at risk of going days without medication. This can potentially lead to viral resistance, which will cause the antiretroviral regimen to fail. Many pharmacists around the country are finding themselves specializing in HIV and AIDS medications as well as other pharmaceutical niches in order to sustain the prosperity of their business. By specializing in one particular niche, Independent Pharmacies are able to truly help a larger group of people with one particular focus. As an HIV medications expert, you can grow and sustain a business that the larger retailers have less interest in dominating. A pharmacist is a vital member of the health care team of a patient and it is very important that they feel comfortable with a pharmacist and the independent pharmacy staff. 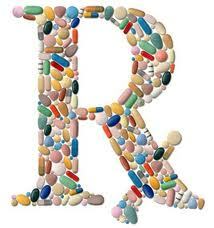 Patients must feel comfortable enough to be able to ask them ANY question with regards to their medications. Because HIV is a lifelong struggle for patients, they want to know that their pharmacist is going to look out for their best interests to battle this disease together. “It is extremely important that the Independent Pharmacy that you select, is a member of the community and/or is very involved and committed to the HIV Community.